A beacon that shined [sic] for so many was extinguished today, but its brightness was relit and will now shine forever for many of us from above. To explain to this apparently dense man where his judgment has reverted to the level of a 5-year-old, I’ll point out that Browne was not at all funny "ho-ho" but frightening – to anyone with any compassion. She fed eagerly on the insecurities, the grief, the need and desperation, of her victims. They turned to her for help, at great cost -- $850 for a 20-minute telephone chat as she squatted before the TV camera like a taloned Jabba the Hutt confronting Luke Skywalker – played by Montel – and graveled out anything-but-funny, unfounded, useless, and damaging pap that added to their confusion and pain – but which made Montel and his sponsors ecstatic, because they could hear those cash register sounds as their products slid off store shelves. 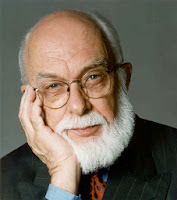 I agree with JREF President D.J. Grothe that we do not celebrate her death, even as we criticize the way she lived. But I’ll be quite frank with you, I cannot mourn at Browne’s passing — she really hurt far too many people, and always so unapologetically. It's unfortunate that she only stopped hurting so many people by dying. I don't like to speak ill of the Dead (sort of an Oxymoron as we all will be some day) but these vicious people who take advantage of the hopeful or give hope to the hopeless are all Con's and hopefully they'll get their's "On the "Other Side".